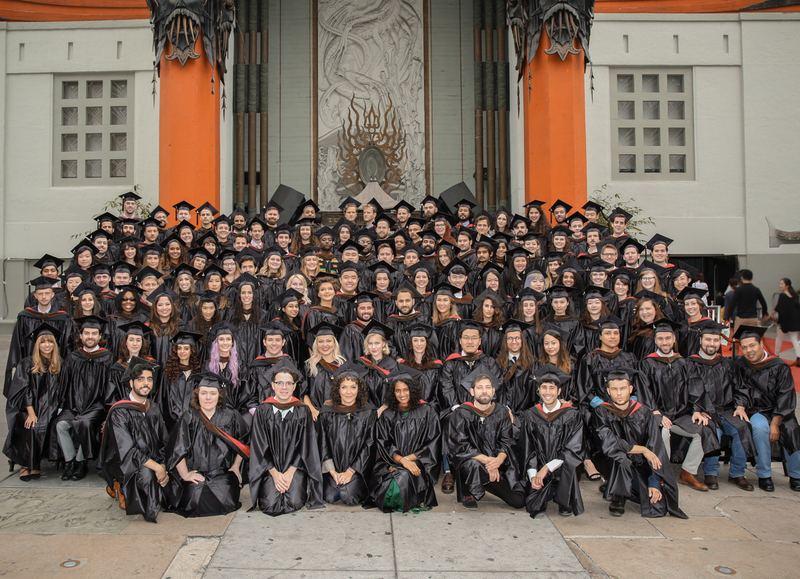 AFI began its commemoration of its golden milestone, which will unfold through 2019 — the 50th Anniversary of the Conservatory’s 1969 inaugural class. Activities and programs during that timeframe will continue AFI’s promise to educate today’s audiences and tomorrow’s artists. In celebration of the Anniversary, AFI Founding Director George Stevens, Jr., joined AFI President Emerita Jean Picker Firstenberg and current AFI President and CEO Bob Gazzale — bringing together all three presidents from AFI’s history. Joining them and the AFI Class of 2017 were Sir Howard Stringer, AFI Board of Trustees Chair, and Robert A. Daly, AFI Board of Directors Chair. As heard in remarks throughout the event, the AFI Conservatory program has a deep history of propelling alumni to success and acclaim ­— including, most recently, Patty Jenkins (AFI Class of 2000), whose WONDER WOMAN had the biggest box-office opening for a female director ever. AFI Class of 2017 representative ByongHoon Jo, a graduating AFI Cinematographer, also spoke at the event. 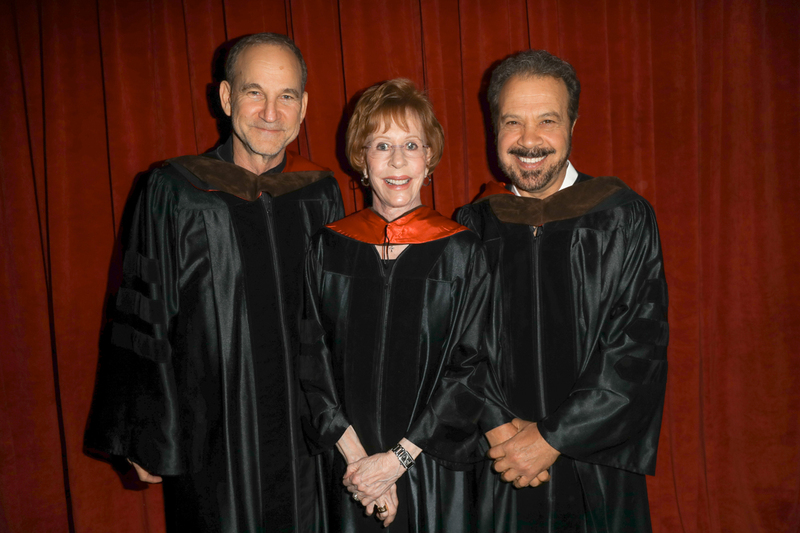 Burnett, Herskovitz and Zwick join an esteemed group of past Honorary Degree recipients, including Robert Altman, Maya Angelou, Kathryn Bigelow, Mel Brooks, Anne V. Coates, Clint Eastwood, Roger Ebert, Nora Ephron, James Earl Jones, Lawrence Kasdan, Jeffrey Katzenberg, Kathleen Kennedy, Angela Lansbury, John Lasseter, Spike Lee, David Lynch, Helen Mirren, Rita Moreno, Robert Towne, Quentin Tarantino, Cicely Tyson, Haskell Wexler and John Williams. I was wondering will there be a 50th anniversary AFI’s 100 years 100 special coming in between 2017 and 2019? Or more of the 100 greatest countdowns? I love those and enjoy discover new and old favorite movies thanks for making those previous lists. Or would it ever be possible to buy any of the Lifetime Achievement awards and all of the AFI 100 years series on DVD some day. I would buy them all in a minute. Hopefully someday we can buy all these wonderful specials si we can enjoy them for years to come! Thanks for your time and reading this! We have 6 Lifetime Achievement awards on Laser Disk and 2 more on VHS. Trying to find more, but difficult. Having them on DVD would be wonderful.